Erica Alex is another young indie author, who is ready to make impact with her first book The Final Chapter of Rain (Zodiac Book 1). She’s got perfect six out of six 5-stars amazon reviews. The best possible advertisement for a new novel. Let’s hear from Erica about her book. 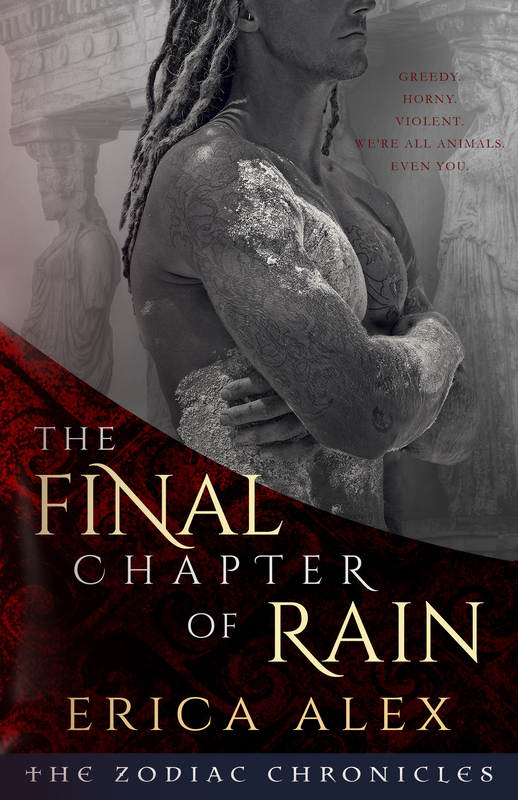 – What is your debut book The Final Chapter of Rain (Zodiac Book 1) about? – The Final Chapter of Rain is about a Vampire who’s much more than a Vampire: Nathaniel Blade. The novel unfolds a journey between times, realms, and worlds, which we travel through with Nathaniel into his new kingship as the ruler (Orchestrator) of Vrykokala (Greek Vampires). In a broken land governed by Greek deities (Elláda Almega) and supernatural species (Highers), it’s imperative that Nathaniel abolish what’s been normal and accepted for centuries: the mistreatment of humans. But when he discovers that he’s been tricked into the throne – and the true reason he’d been called back to the future where he was born – Nathaniel’s goals take a violent turn. This is a tale of love, revenge, violence, humanity, and mortality. And so much more. If I say anything else about the details of it, the twists at every turn will be spoiled. And so I created Gavin, a Vampire I brought to life on Twitter. The Role Play scene was similar to the Fic scene, but held a newness and intimacy I grew attached to. I wrote stories tweet by tweet. My character made a mess and it was beautiful. Then, for numerous reasons, I pulled out of Role Play. And returned, having written two characters in between (one also a part of my Zodiac series), but none of them felt as good to me as Gavin had. I brought him back to life a year later. A year after Vampire Gavin had been on my mind, he had evolved into a large enough entity for me to begin taking him quite seriously. I renamed Gavin to Nathaniel Blade. He had a new life, both as a character I’d resurrected and in his own story. I’ll never forget the day I was searching for an image of a model to pair with my idea of what Nathaniel looked like. “Tall, tanned, long hair, and he MUST have a lot of tattoos,” I’d told my friends and writing partners. That was an absolute must. And the long hair. Gavin had always had long hair, and he was well-inked. He’d always been rough around the edges. He’d always been a melting pot of several, conflicting things. So when my friend – and I’ll forever love Tess for this – found an image of model Robbie Gambrell, I felt all the more inspired and compelled to write – recreationally – about Nathaniel. While doing this, several months into his new tale, I found myself looking at his character site and counting nine pages of glossary terms I’d created for his world. Nine pages! I thought, “Someone could steal this,” and, “I should be writing a book from all this.” So I began the book. And here it is now. And that was a long little story, but it came about just that way. – In the beginning, I’d have said it was the editing. In the end, looking back on it all, I’ll say it was the formatting for the paperback edition. Because I self publish, I did it all myself. I could’ve paid someone to format the book, but I wanted to save money and learn to do this. The header/footer/mirrored pages drove me sick. The section break/page break thing – goodness. I can only hope it’s simpler the second time around – smoother. – Nathaniel is like no one from my real life. He’s straight from my imagination. I will say that he’s a mixed breed of Vampire, and this is important in the novel for several reasons. He’s also bisexual and married to a man, because I felt the world needed a protagonist male Vampire with a male spouse in literature. I’ve not read such a book. If there is one, I’d like it to be recommended to me. I believe that people love who they helplessly love, and this capability is an ancient thing born millennia ago. – I began The Final Chapter of Rain December 2012 and finished it before sunrise on Halloween 2013. With all the edits and formatting, it took until July this year to at last say, “I’m finished and it’s ready to be published next month,” but really, I was still putting work into the project up until the time I did publish the book. 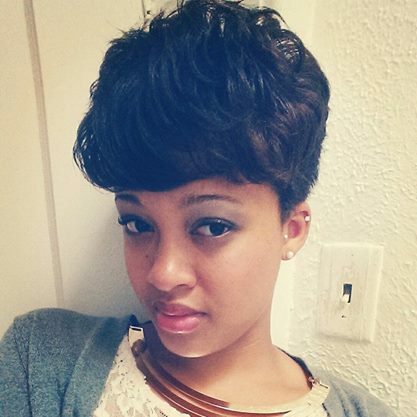 – I’m a 25-year-old Baltimore, MD native with a BA in English and a serious addiction to books. Bibliophile doesn’t explain it. My obsession to possess as many books as possible – in various forms – is leaving me with little desk and floor space. I love food. Love. I recently tried to cut meat of my diet, but after succeeding for about 45 days, I returned to it. I’m such a carnivore! Haha! I can’t live without steak. I’m also an amateur photographer. I love taking pictures, but don’t adore being behind the camera as much. – I write for my novel (Once Upon a Reject, the second installment of Zodiac) every day, aiming for no less than 20,000 words a week. If I don’t get out a few thousand words, anything I put down makes me feel accomplished. In those cases, I edit previous chapters. I have an app on my phone called Jotterpad X, which I use to type plain text on the go. There’s also Keep, a Google note-taking app, and it’s FILLED with ideas, reminders, photos, everything that comes to me while I’m away from my laptop. At my laptop, I use Scrivener by Literature and Latte, as well as their Scapple. You absolutely must try their products. And when I’m not reading, which I also do every day, I’m writing for fun with friends. – So far, so good. Any author will always be pleased with more sales, but I’m independent and my book has only been out for two weeks as of Friday, September 12th. I’m practicing patience and expanding my marketing skills, though I do believe that a large part of this game is word of mouth. If the perfect situation occurs that the right person reads my book and announces to all his/her friends and family that it’s a must-read page-turner, I could be looking at some amazing results. Optimism is key, though as a Virgo, I’m helplessly pessimistic! – You are fan of photographics. Please describe the favorite one, that you shot? – My favorite photo that I’ve taken is of a bumble bee on a flower, which I believe was a daisy, but it may not have been. I snapped it on my college campus using a Nikon L100. You can see it here: https://www.flickr.com/photos/laceveins/10103090686/. – Do you believe in vampires? – Oh yes. They may not be out in the world as we write them, but there’s all sorts of unknown out there. – You are a blogger at WordPress, is it helps you to make better contact with readers and to inspire yourself more for your novel writings? – WordPress is a powerful tool. I believe that having a blog makes things personal. It allows the blogger to share and converse with a wide rang of others in a setting they control down to the spam. I’ve been using the site for years now. It inspires me to push through when I see the word count bar on the right, as I enjoy watching the color stretch across it and having my subscribers know I’m approaching a milestone in a particular project. I also used to post snippets of a story I’d been working on – once a Fanfic, now my own creation. I need to return to that, actually. I think I will. – When you were a kid, what were your Top 3 dreams? – I wanted to be a model, a veterinarian, and a writer. Posted on September 17, 2014, in Author, Interview and tagged author, Erica Alex, interview, The Final Chapter of Rain (Zodiac Book 1), vampire. Bookmark the permalink. 3 Comments. It was a pleasure, Alex! Good luck with all future works.